SOUTHERN CALIFORNIA — The middle of December is here and bluefin tuna are still biting at the Tanner Bank. Nice sized fish in the 40- to 110-pound range continue to provide action. A couple weather systems have passed through the area and the water temperature has dropped from 62.5 degrees in recent weeks, down to the 58.5- to 60.5-degree range. One would think this drop in water temperature would likely cause the bluefin to leave but there must be a lot of good food for them in the area as they are still around. Recent fish counts on trips targeting bluefin tuna start with Fortune out of 22nd Street Sportfishing. Its 1.5-day trip with 18 anglers caught 13 bluefin tuna, 220 whitefish, 25 rockfish, 2 salmon grouper and 12 sheephead. Freedom was out on a 1.5-day trip with 27 anglers who caught 8 bluefin tuna, 63 rockfish, 18 sheephead, 20 bonito and 6 yellowtail. Toronado out of Pierpoint Landing had a recent overnight trip aboard with 14 anglers catch 4 bluefin tuna. The bluefin at the Tanner Bank have been biting during daytime and nighttime hours, with the best time of a 24-hour day being the early morning hours of daylight. The best area to locate bluefin has been along the southeastern edges of the Tanner Bank. Skippers located the fish by looking for meter marks or sonar marks to stop on and drift. The best bait for bluefin continues to be live squid. There has also been some action reported on fresh frozen dead squid and on 160-gram to 200-gram Flat Fall jigs in the fluorescent finish. Most of the squid are being caught at the Isthmus at Catalina. At times, live squid has also been available for purchase at some of the Long Beach/San Pedro area bait receivers. Fishing pressure at Los Coronado Islands has been light, with the most recent reports being of slow surface fishing and good fishing for an assortment of rockfish, whitefish and a few bonus lingcod. One reason few boats have been fishing around Los Coronado Islands might be due to talk of the Mexican government possibly establishing a new marine biosphere reserve. Los Coronado Islands might be included within this biosphere. 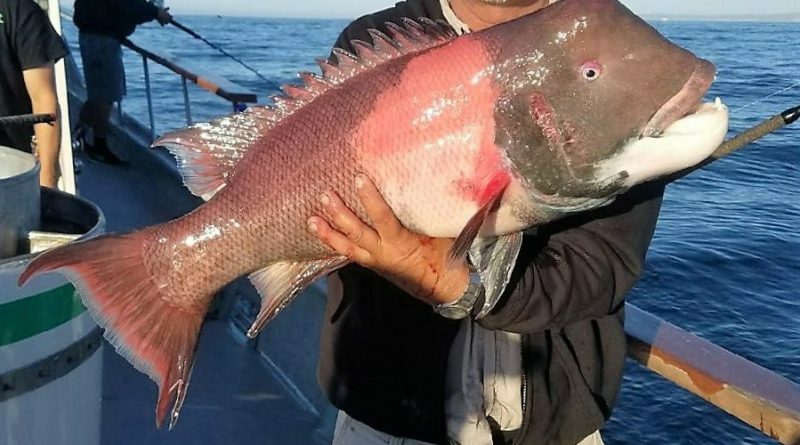 At this time not much is known about this situation with the Mexican government and how it might or might not affect fishing around Los Coronado Islands and elsewhere. Some skippers and anglers may well be waiting to get more information about this situation before they head out to fish Los Coronado Islands. 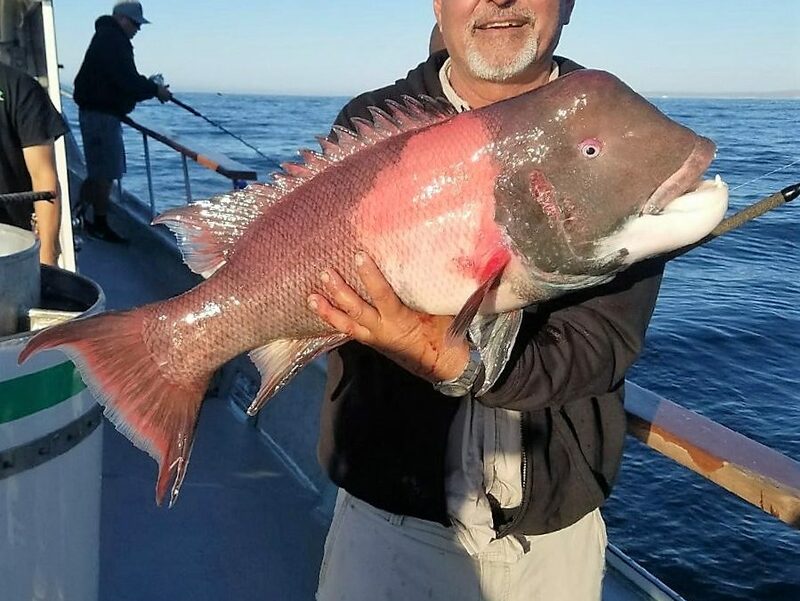 Boats fishing along the San Diego County coast are in a bottom fishing mode and have been finding some good mixed bag fishing for an assortment of rockfish, sheephead, whitefish and a few bass while fishing hard bottom and structure spots. An occasional bonus halibut is also being reported. The surface fishing has been slow with the upper end of La Jolla providing the best chance at scratching out a bonito or yellowtail while fishing the area of Northwest. An area where some halibut have been biting has been while drifting outside of the Border Check Station below San Onofre in 17 to 18 fathoms of water. Capt. Joe Cacciola of Sea Star with Sea Star Sportfishing reports he found steady fishing on a mixture of bottom fish, such as rockfish, sheephead, whitefish and bass. He mentioned hard bottom areas outside of Box Canyon, Leucadia, Solana Beach and Del Mar as being productive areas for bottom fishing. He said the water has been green and that it has been running 58 to 59 degrees with favorable downhill current conditions. December has been pleasantly surprising with bluefin tuna biting and good fishing for rockfish to be found at local islands and at various hard bottom and structure areas along the coast. I hope you get a chance to get out fishing and get in on the fun. Keep on fishing and I hope to see you out on the water!